While we spend a lot of time looking at the characters and events of our dreams, it is also worthwhile taking the time to reflect upon the landscape our dreams occur in. Sometimes this landscape will seem like a mere backdrop against which the story of the dream takes place, at others, the landscape is so prominent it becomes almost like a figure of the dream itself. Either way, paying attention to the surroundings in our dreams can reveal important insights into what the story of dream is telling us. Landscapes in our dreams can help provide us with context. But the landscape may not be simply how we are perceiving our external environment. Just as other people in our dreams can represent parts of ourselves we need to address, so too can the landscape be a symbolic representation for our own self. It can be helpful to look at how you would describe the landscape, and how these words may relate to some feelings you could have on a particular issue. 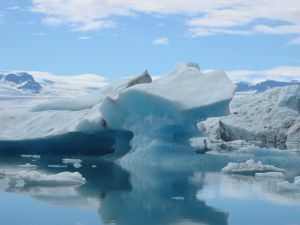 If you dream of ice for example, you could be frozen with fear, unable to take action; or you could feel your emotions are frozen from a past hurt and you are behaving as cold as ice. 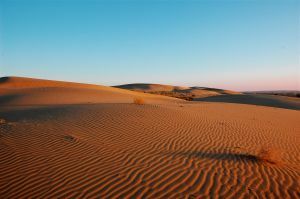 Dreaming of a desert could indicate you literally feel deserted in some way, or maybe you feel barren, dried out and unable to be creative and nurturing at this time. Do you dream of a mountain? Maybe you feel you have a huge challenge ahead of you, and need to conquer it, or maybe the problem is not so big, and you have simply made a mountain out of a molehill. How does the landscape relate to your own feelings about a particular issue? Also look to how you move through the landscape. Do you move easily, or are you lost, struggling, feeling as though you won’t ever get anywhere? This can be a metaphor for how you feel you are coping with a present situation. A positive sign is when you make it where you wanted to go, the dream landscape changes, or you meet someone in the landscape who gives you some advice or directions. It can be interesting to see how you personally will have different landscapes that seem to resonate to you personally over time. If you pay attention to your feelings and attitudes to the landscape, it can reveal much about your personal growth. Familiar landscapes, for example, are likely to be about issues or concerns we have dealt with in some way before, and already have some degree of understanding of; while strange landscapes may be helping us grapple with new issues in our lives, or new aspects of our personality we had not previously been aware of. In a similar way, built-up, urban or city environments are more likely to be about the life we have constructed, the rules we live by, the societal beliefs we hold, issues relating to friends, family and jobs; while natural environments are more likely to relate to our feelings, our hopes and fears, our sense of self and how we define who we are in our own minds. But landscapes are such vast and all encompassing areas of our dreams, they cannot be understood in isolation. Try exploring your other dream symbols, and look for where the story of different symbols seems to overlap and interact for a more in depth understanding of your dream.